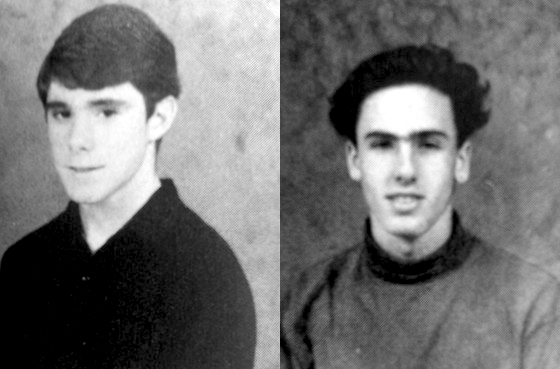 Back in the mid 1980's in Houston, I rode the bus to middle school with a class clown by the name of Adam LaMotte. It wasn’t a particularly bad school, but it could get rough at times. Probably in the interest of self preservation, neither one of us ever mentioned the fact that we were students of the violin. There was a string orchestra at the school, but the basketball court was a much more interesting place to this teenaged kid. That is until the day I got a little carried away attempting to play tenacious D (the kind that existed before Jack Black.) My young basketball aspirations were quickly ended by a couple of hearty whacks to the head with a crowbar brandished by the kid I was overzealously guarding. Oh well. T’was for the best, as I only grew to be 5’6”anyway. My older brother, a violist, had just started high school at HSPVA (High School for the Performing and Visual Arts) and was lobbying hard for me to audition there as well. I must admit, he made a good case when he told me that excelling at the violin would actually earn me respect there. Well, that and the fact that no one could remember the last time there was a fight at HSPVA. So I did my best to clean up the piece I was studying at the time, the Mendelssohn Concerto. I played decently and got in. One might imagine my surprise at the first orchestra rehearsal to discover that my stand partner for the semester was none other than the class clown from the junior high bus, Adam LaMotte. There we stood, violin cases in hand, totally bewildered that this commonality had never come up in conversation. Fast forward almost 30 years, and both of us are now living in Portland, OR collaborating and performing together on almost a weekly basis. 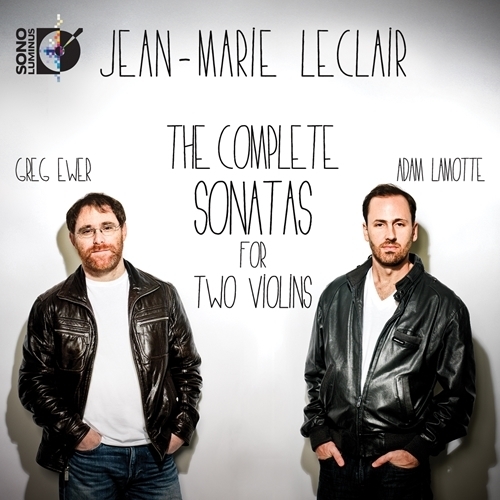 In 2001, our search for great music for 2 violins led us to discover the Sonatas for Two Violins by Jean-Marie Leclair, 2 sets of little-known gems by this great, albeit underplayed, French baroque composer. Our first performance of Leclair was a live, in-studio concert preview on All Classical Portland (our invaluable local radio station.) Since that day, this collection of pieces has been our go-to repertoire whenever we need something to perform together. It is truly some of the best music ever written for two violins! In the summer of 2013, we travelled to the studios of Sono Luminus, just outside of Washington D.C. to record it. Last week, on March 25, 2014, we released a landmark recording of all 12 Sonatas by Leclair, available for the first time as a complete set and in high-definition on PureAudio Blu-ray™. This recording is the result of several decades of friendship and musical collaboration. Goofing off on the bus probably didn’t hurt it either. Hi Greg, I am glad to see that you are doing well. The album of Leclair sonatas looks great and I look very forward to hearing it. I am sure that you know that Peter Jacoby is also living in Portland. Take care. Will this be released on iTunes? Larry, great to hear from you! I hope all is well. I run into Peter from time to time. Such fond memories of good times in Houston!